Oh my gosh! 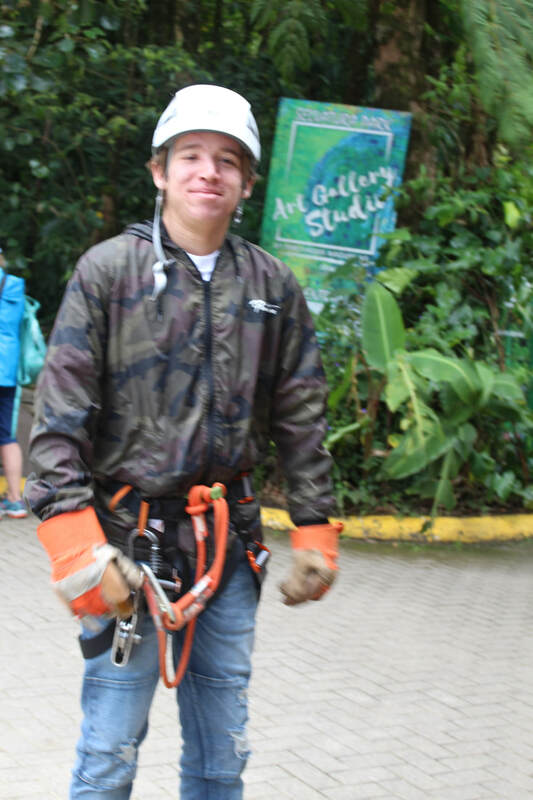 The zipline at the Selvatura park was amazing, awesome, so fun. I could go on. There were 14 segments. The last was 1 kilometer and Quinton and I were required to do it tandem--it is so long a single person's weight isn't enough to make it to the end. I'm sorry I didn't have my camera, but he thick leather gloves, and the fact I was clinging 2-handed the whole time to my harness meant I didn't have any free hands to take photos. Every walk through a rain forest, every bus ride, was accompanied by scanning for the long list of animals the guides were "required" to sight for us in such a manner that we could photograph the wild life. Our guide for this walk through the Selvatura park, a privately owned rain forest, gave us the prized quetzl bird. (I circled it in case you can't find it.) The local guide who led our group had a spotting scope mounted on a tripod (all the guides seemed to have this equipment). He found the bird and let us look through the scope. I finally gave up and just walked along the hanging bridge we were on and took a series of photos with my camera pointed at the jungle. I was amazed that evening when I downloaded my pictures to find I had gotten not 1 but 2 fairly good shots of the birds. I used this amateur photography technique several times with mixed success. Frankly, I was frustrated. We walked through a few miles of dense forest. 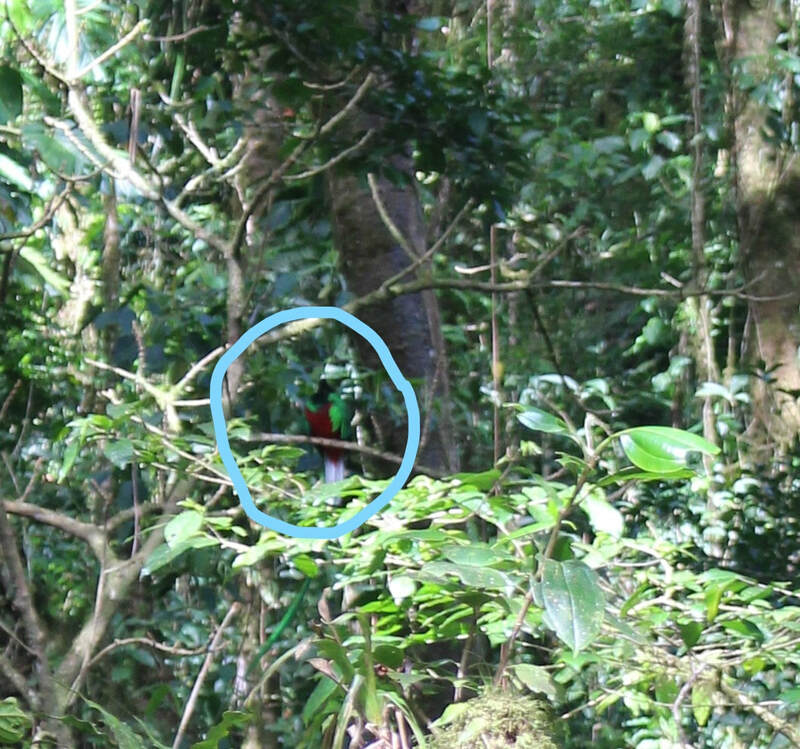 In all that time we saw one quetzl. I know they are rare, but this was a protected huge sanctuary. I could have done better at a zoo.